Upper airway congestive symptoms during pregnancy have been recognized since the late 19th century (1). Among randomly selected pregnancies, as many as 18–30% of patients will report substantial symptoms of rhinitis and sinusitis, and this figure may be higher among patients with pre-existing atopic disease (2–4). “Rhinitis of pregnancy” can take many forms. In another chapter in this review, Dr. Elergard discusses a form of rhinitis in pregnancy that occurs as a result of physiologic changes specific to pregnancy. This is to be distinguished from other forms of rhinitis coincident sometimes aggravated by pregnancy such as allergic rhinitis and sinusitis. The incidence of allergic conditions is 20–30% among women of childbearing years (5). Of those pregnant women with known allergies, some studies suggest that as many as 10–30% will experience increasing allergic symptoms during their pregnancy returning to their normal pre-pregnancy state after delivery (5–7). 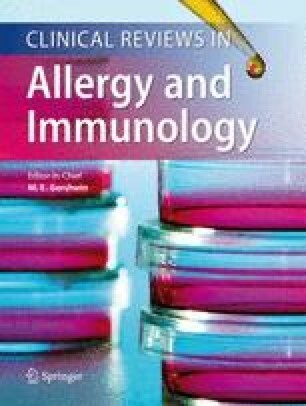 Postulated causes include those responsible for “rhinitis of pregnancy” such as increased circulating blood volume giving rise to nasal vascular engorgement and hormonal influences on nasal mucosal secretions and have been discussed in another chapter of this review (8, 9).